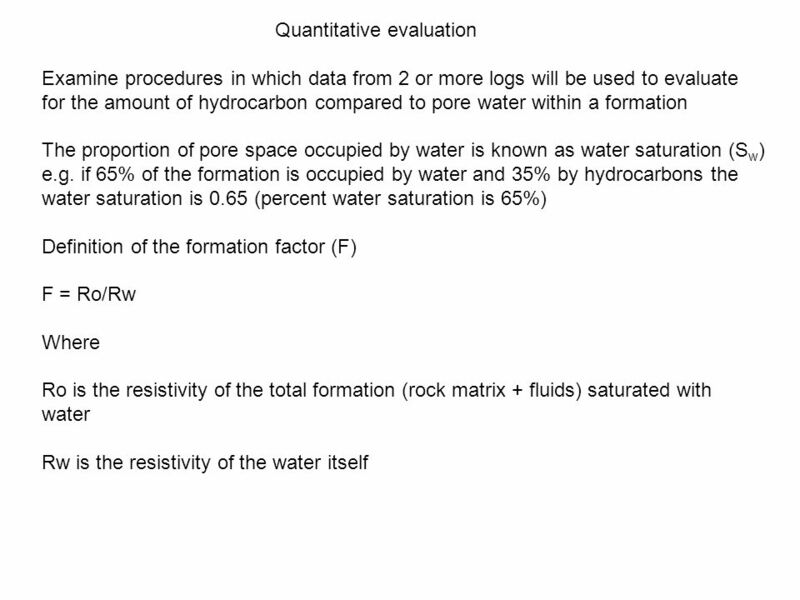 Quantitative evaluation Examine procedures in which data from 2 or more logs will be used to evaluate for the amount of hydrocarbon compared to pore water. 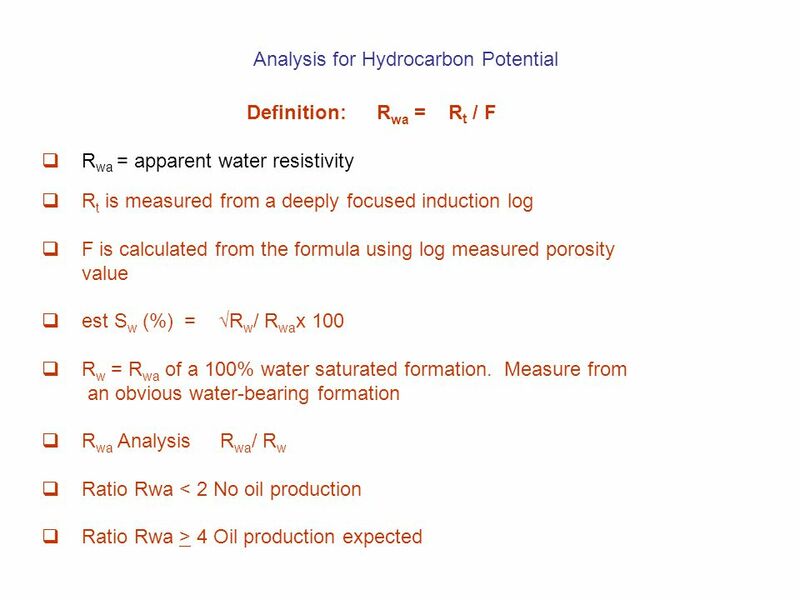 Download ppt "Quantitative evaluation Examine procedures in which data from 2 or more logs will be used to evaluate for the amount of hydrocarbon compared to pore water." 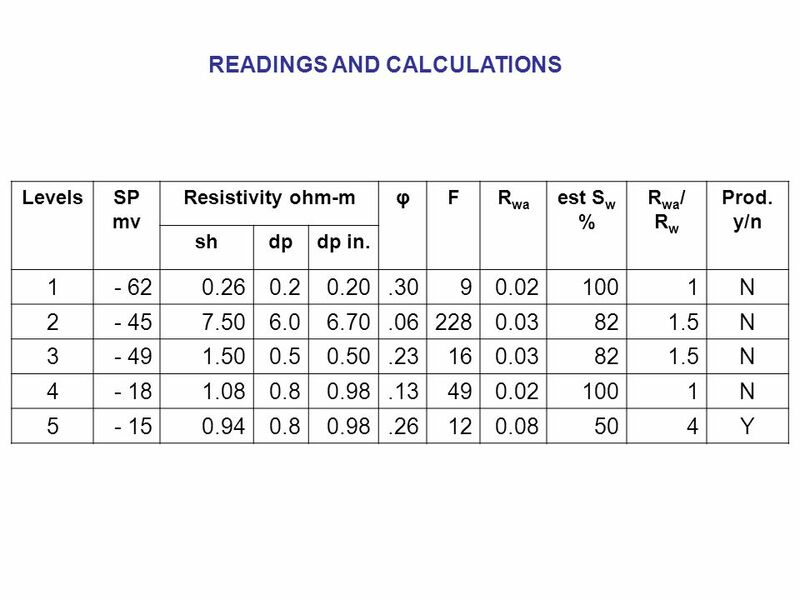 Electrical resistivity measurements and their uses in marine soils. 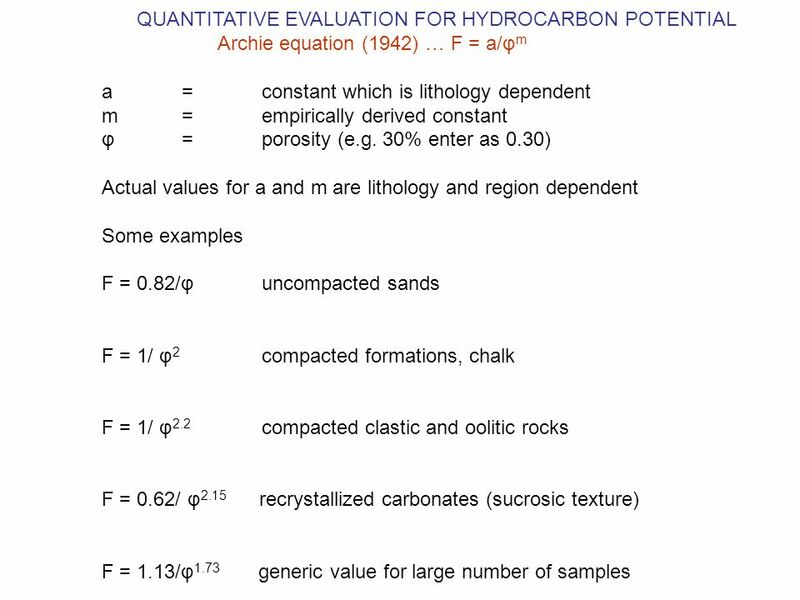 1) a) H = 2.06%, S = 32.69%, O = 65.25% b) Ca = 54.09%, O = 43.18%, H = 2.73% 2) 24 x x x.112 = ) a) g/mol, b) g/mol. 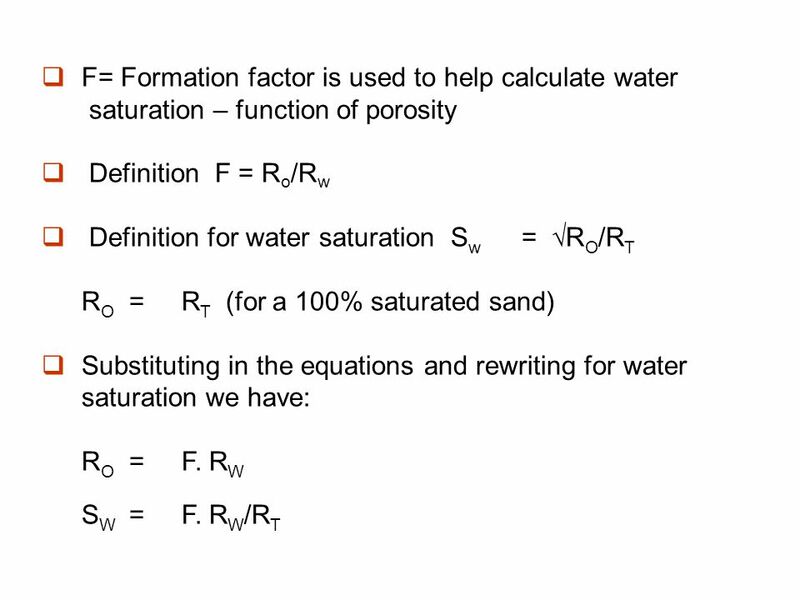 Chapter 14 Gas-Vapor Mixtures and Air-Conditioning Study Guide in PowerPoint to accompany Thermodynamics: An Engineering Approach, 7th edition. Round 2! 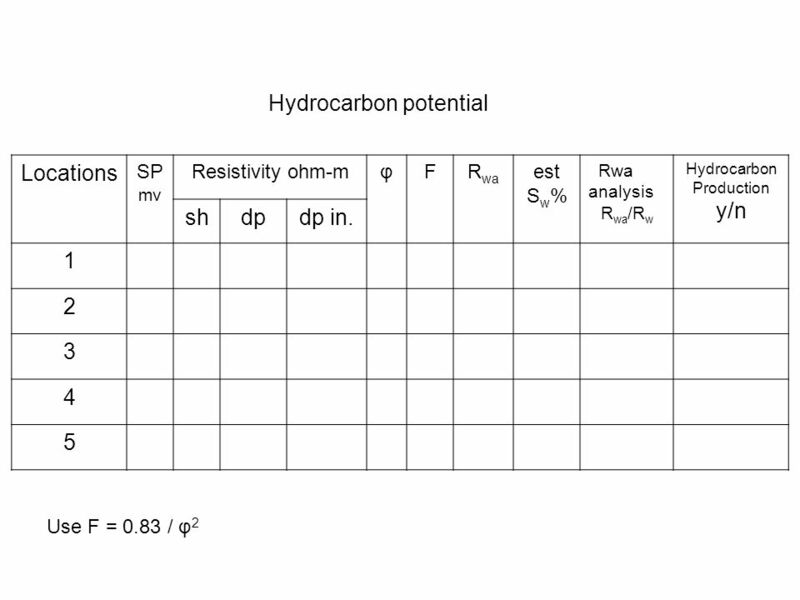 Double Jeopardy Calorim- etry Energy Changes in Heat Vocab Thermo Fun FJ. 5 th - Number Sense. 1. Which is the same as 13? A B. 10 × 3 C D. 1 × 3. 1 SPE Distinguished Lecturer Program Primary funding is provided by The SPE Foundation through member donations and a contribution from Offshore Europe.